Our Carlisle Dining Table with round top inspires a fun and funky ambiance in any modern setting. 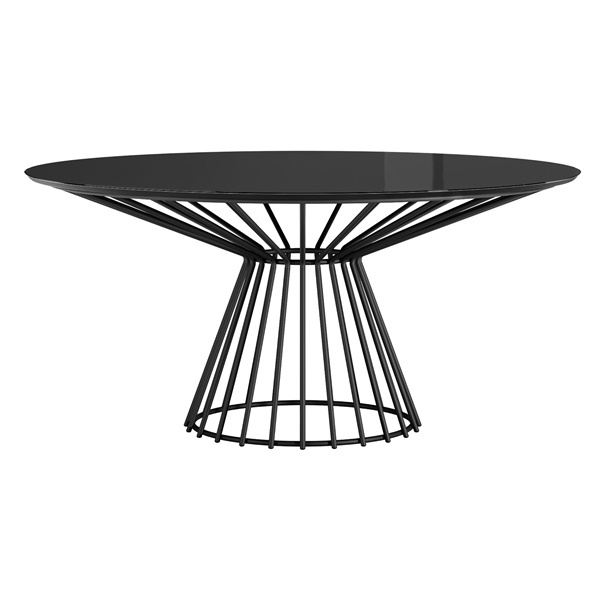 The table's impeccable, modern design features painted spoke base with colored glass or wood top. Table seats up to eight guests comfortably. The Carlisle Dining Table will add instant character and style into any setting, while providing the perfect place to dine with family and friends. Can I get a white base and oak top? The Carlisle Dining Table can be custom made with a white painted base and brown oak top combination.